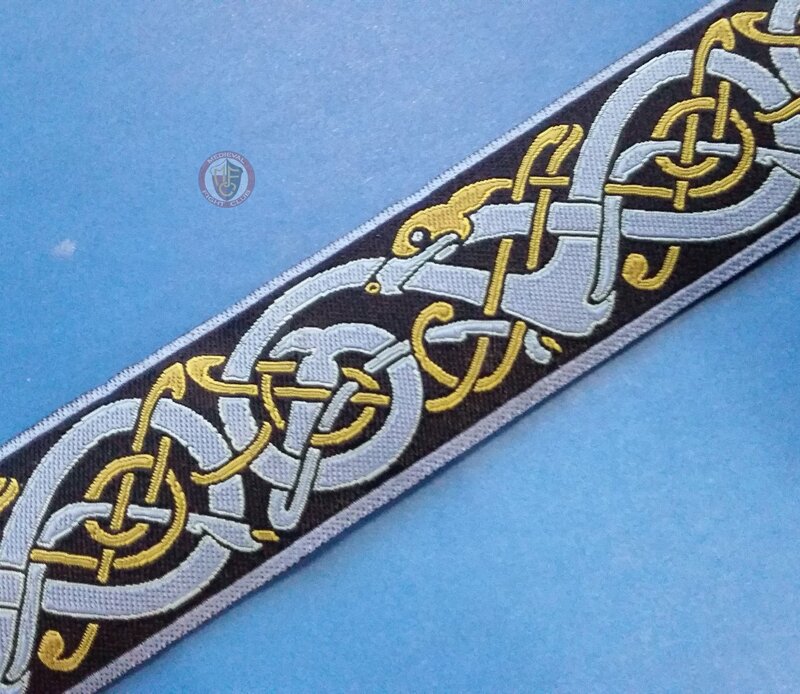 Woven braid with a Norse dog design in an endless pattern. In mild colours of blue and green. 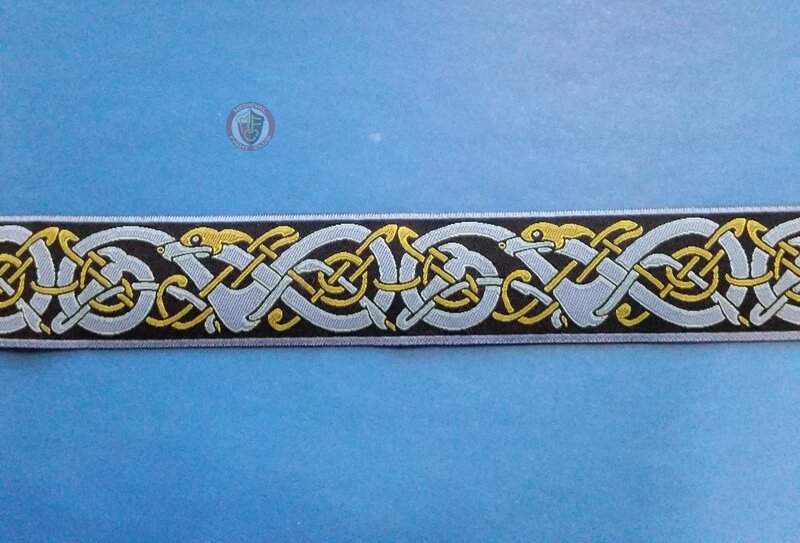 Suitable for Viking costume and would work best on tunics that are in blues, greens, browns and white. 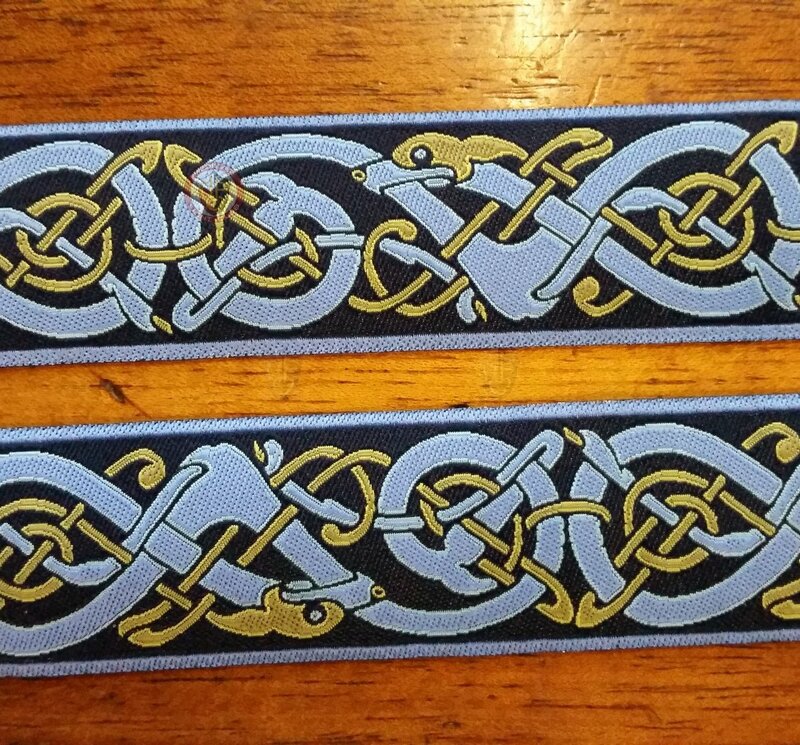 This braid was developed by MFC and is not available anywhere else. 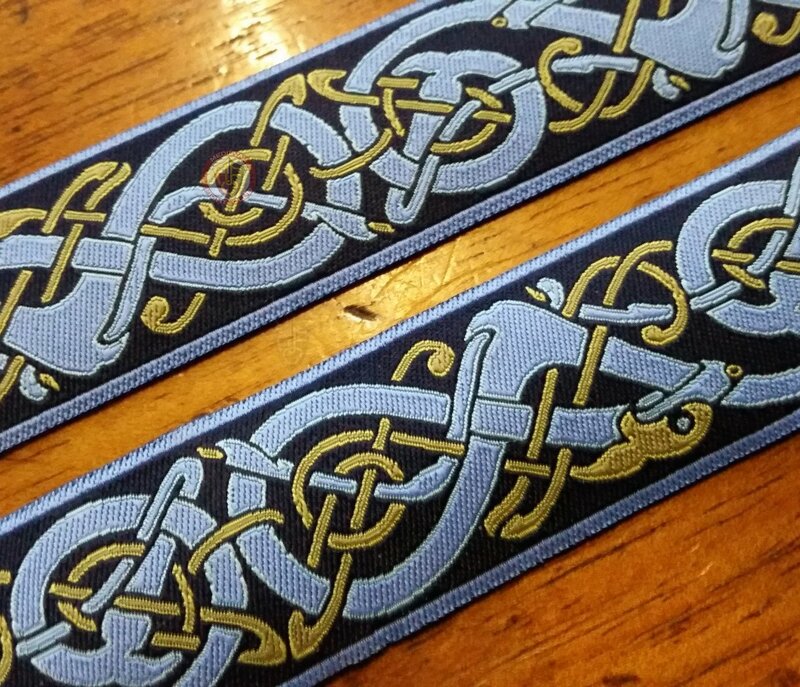 This is 30mm wide, so the closeup detail is better than the thinner one and when stitched on to a garment it looks very detailed. 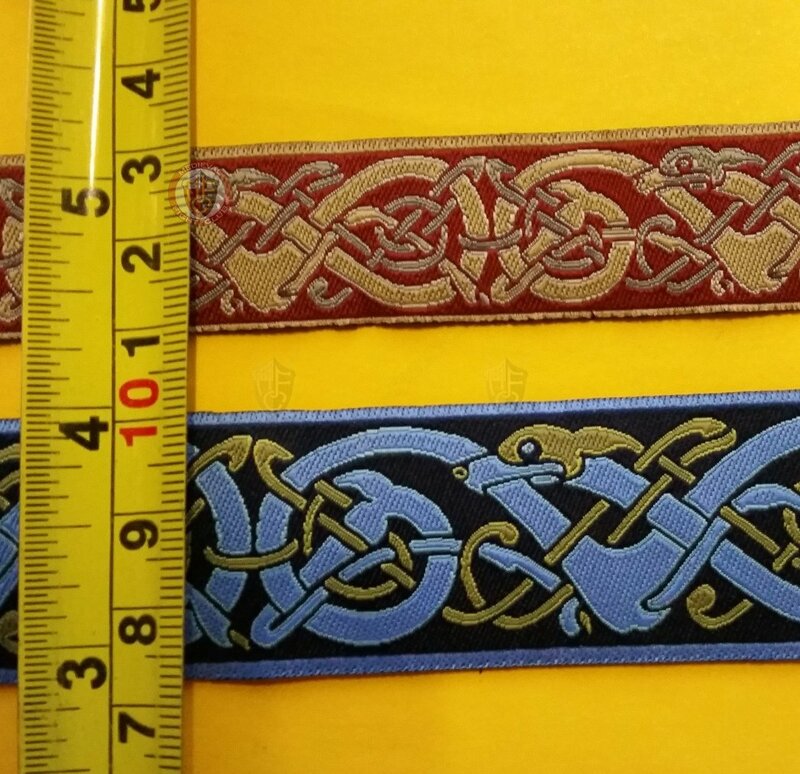 Check out the pictures to see a comparison to the smaller red version. SOLD in 6.4 metre lengths.